Every October, the entire country turns pink. While it may be pretty, wearing pink or offering pink products does little to educate employees about breast cancer or raise money for the cause. In October, which has become the nation’s annual observance of Breast Cancer Awareness Month, your company should develop a plan to provide information and education to employees on breast cancer prevention and early detection, as well as to find meaningful ways to raise funds for breast cancer research. Participating in Breast Cancer Awareness Month can help align your company with a worthy cause if done properly. Provide breast cancer prevention information and educational materials to employees and clients and their families. Advocate for the cause by being proactive in helping employees take charge of their health. 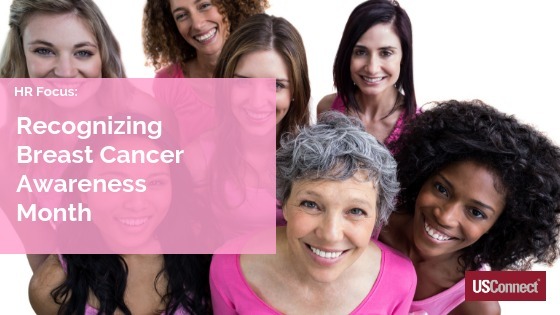 Connecting your company to breast cancer prevention can bring good will to your brand while providing useful information for women. Create a handout (with breast cancer facts, risk factors, mammogram information, and how to perform a self-exam) that employees can take home and use. Or add your logo to these pocket sliders (small interactive slide charts in which you match up the bullet point and view information and tips in the cutout window) available at https://cdn2.hubspot.net/hubfs/2317504/Pinktober%20Promos.pdf?t=1537766091314. Share breast cancer facts and prevention tips on your company’s social media. Get creative on Facebook and Instagram by sharing photos and memes with prevention tips and breast cancer facts for the entire month of October. Share breast cancer and nutrition facts. There is a lot of misinformation about the causes of breast cancer, especially when it comes to diet. As a food service company, clarifying the connections of breast cancer and diet can have a big impact. Share the facts through educational materials, blogs, newsletters, and social media. A good place to start is https://breast360.org/topics/2017/01/01/breast-cancer-and-nutrition-facts-and-myths/. Sharing breast cancer survivor stories and photos is also a powerful way to recognize Breast Cancer Awareness Month. If you have employees or clients who are willing to share their breast cancer stories, include their photos and stories in your company’s blog and/or newsletter with links to your social media. Organize a company team for a Breast Cancer Walk/Run or other event. There are numerous Breast Cancer Walks/Runs and other fundraising events happening in October all over the country. Find a local event and organize a company team to get involved by fundraising and participating the day of the event. At the event, your team can wear t-shirts with your company name and logo and give away promotional products to promote your partnership. As this blog discusses frequently, access to fresh and healthy foods can boost workplace morale and productivity. USConnect’s fresh vending and Bistro To Go!™ micro markets provide team members with many fresh and healthy options. But what if you could provide even fresher options, like tomatoes that people can eat right off the vine or salads made from fresh-picked lettuces? Workplace gardening is a growing trend, especially among businesses that prioritize employee wellness. Gardens can feature an array of plants—like colorful flowers, whispering grasses, and sweet-smelling lavender—that soothe the senses of all who visit it. Of course, many workplace gardens focus primarily on team members’ taste buds, growing such produce as cucumbers, tomatoes, peppers, lettuces, and herbs. Employees can enjoy fresh-off-the-vine produce and revel in the simple sweetness of just-picked flavors. Apart from the benefit of the fresh-grown produce, the act of working together on a gardening project provides the kind of teamwork and camaraderie for a fraction of the cost of expensive off-site, team-building retreats. Gardening provides natural shared tasks and rewards, especially after a few weeks when team members can start seeing tangible results of their hard work. 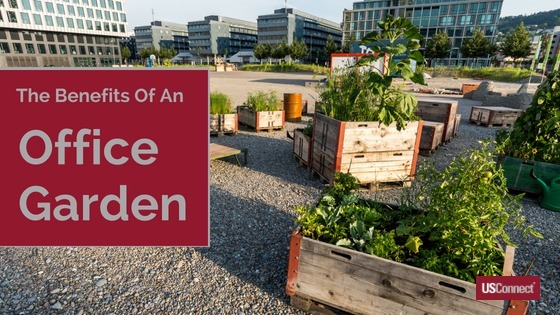 A workplace garden can be as simple as a raised bed next to the parking lot or as grand as an acre of off-site farmland. In urban areas, “green roofs” provide the extra benefit of helping to offset global climate change. Employee interest and satisfaction in workplace gardens tends to be very high. Why not start one today? February 14 in 2018 was not only Valentine’s Day, but it was also Ash Wednesday, the day in the Christian tradition that signals the beginning of Lent. 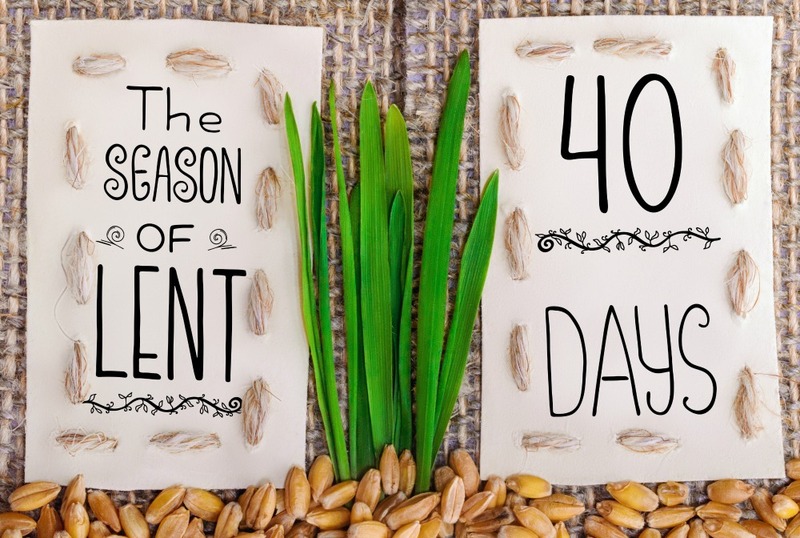 Representing the 40 days that Jesus wandered in the wilderness, Lent is the 40-day period between Ash Wednesday and Easter Sunday that is a time of reflection, prayer, and sacrifice: sacrifice that many Christians observe by eliminating meat for the duration of Lent, especially on Fridays. 26 percent of consumers say they observe Lent. 20 percent of adults say they eat more seafood during Lent. 41 percent say they eat fish instead of meat on Fridays. Seafood sales can surge more than 20 percent during Lent. On Fridays, seafood sales can surge up to 50 percent (as compared to non-Lent Fridays). To increase your Lenten offerings, fried fish and shrimp are always popular choices. However, since many people are also seeking a more healthful diet, it’s a good idea to offer some baked, steamed, and grilled options as well. Services like USConnect’s fresh food vending or Bistro To Go!™ micro markets offer choices like tuna sandwiches or wraps, smoked salmon, or shrimp salad. Options like these can help people stay healthy and observe Lent at the same time. Get Fit As A Team! Uh-oh! With the holidays lurking around the corner and the cold weather making people want to hunker down and eat comfort food, it can be especially difficult to focus on nutrition and fitness. HR departments can make a big difference by creating a health and fitness challenge to help keep employees focused on staying healthy during the holidays. Read on for some tips and tricks for setting up a wellness challenge that works. 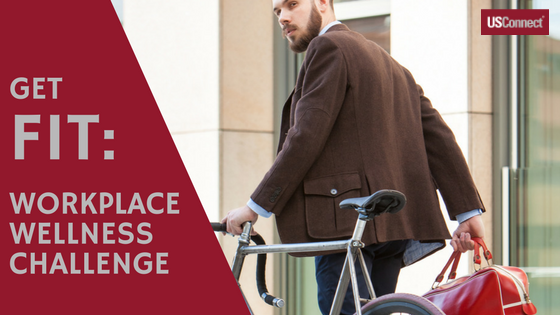 What is a workplace wellness challenge? It’s a fun, community-oriented activity where colleagues compete against each other in a friendly contest. It’s a way to hold each other accountable toward a shared goal of better health, and it can provide that extra boost to help people stay motivated—especially during the holiday season. Most workplace challenges have users self-report their activities or results, as regulations from the Equal Employment Opportunity Commission (EEOC) prevent companies from requiring this kind of information. However, wellness challenges work best when participants want to join, not when they’re forced to, so the regulations shouldn’t impact the success of the challenge. Challenges can tackle any aspect of nutrition and fitness—from avoiding snacks to walking up the stairs every day. Technology can help with organization, communication, and tracking: for instance, people who use fitness trackers can easily connect and compare number of steps or miles covered. People who use the USConnectMe app can easily get access to nutritional data for all the food they purchase, making it easier to track data for calories, fat, protein, fiber, and important nutrients. Challenges are also a good way to bond with coworkers while promoting a healthy lifestyle. Try organizing monthly healthy potluck lunches or group activities like walking around the building several times a day. Challenges can last a week, a month, or even longer. You may even hold a “pop-up” challenge for one day, challenging co-workers to go a whole day without eating any added sugar (for instance). The point of wellness challenges is to have fun and stay healthy, not to win a large monetary prize. However, it’s nice to offer an incentive whenever possible. Team t-shirts are a great reminder of the group goal, and gift cards for healthy activities or food are always welcome. For more information, check out these resources from the Society for Human Resource Management, and start your challenge! Is BPA-Free the Way to Be? Look at any food packaging, especially in the foodservice industry, and you’re likely to see a lot of plastic. There are many good reasons for the prevalence of plastics; plastics carry much less weight than aluminum or glass, and plastic packaging can prevent up to 1.7 pounds of food waste for each pound of plastics. The US Food and Drug Administration still classifies BPA as safe at its current human exposure level. Nonetheless, pressure from consumers and consumer protection groups has spurred food storage companies to drastically reduce their use of the chemical. This is particularly true for products aimed at infants and young children, like infant formula packaging, baby bottles, and toddler sippy cups, but even many general use products now carry the label “BPA-Free.” In the foodservice industry, both Rubbermaid and Cambro offer BPA-free options. 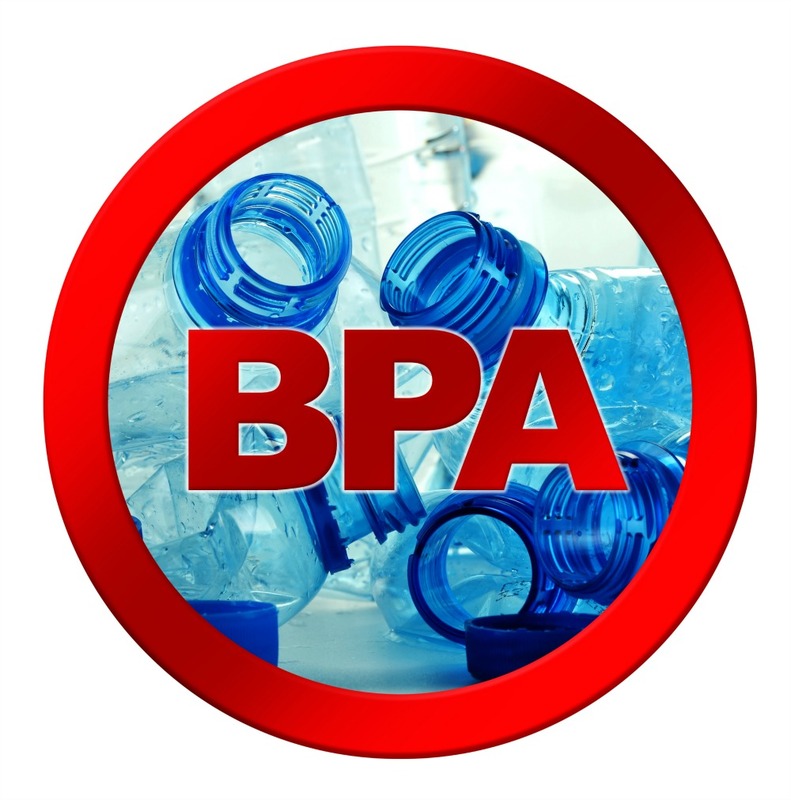 Unfortunately, just replacing BPA does not appear to have solved the problem of endocrine-disrupting chemicals leaching into food. Scientists currently focus on chemicals having estrogenic activity—activity that mimics, increases, or decreases the body’s naturally-occurring estrogen with synthetic hormones. So while eliminating BPA is a good start and can help raise employee awareness of the dangers of chemical contamination, it is not a panacea. Study after study shows that most plastic products leach estrogenic chemicals into the food and drinks we consume. Some simple steps can further reduce risks, both for foodservice companies and the customers they serve. Keeping plastics away from heat—boiling water, microwaves, and sunlight—is crucial, as heat accelerates the leaching process. In foodservice kitchens, make sure to heat food only in glass or metal containers, and in office kitchens, offer alternatives for employees to heat their own food. Keep bottled water out of hot cars and sunlight, and educate employees about the potential dangers of keeping food or liquid in plastic for too long. As always, knowledge is power! It’s not exactly breaking news: nutrition is one of the major factors that impacts employee productivity. One of the seminal works on the topic comes from the International Labour Organization (ILO), which published a study in 2005 linking nutrition to workers’ health and productivity. 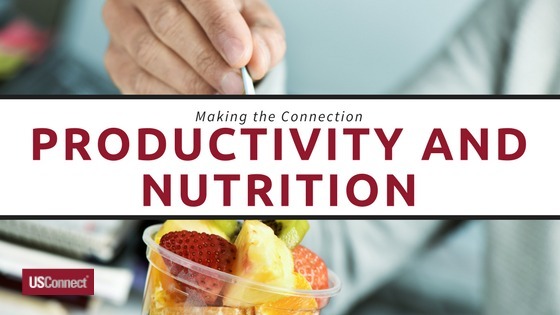 The report, which took a global perspective on both developing and developed countries, found that poor nutrition can reduce employee productivity up to 20 percent. Both malnutrition and obesity can drastically affect workers’ ability to come to work and perform effectively. More recently, a report from Britain’s Healthiest Workplace found that British companies lose an average of 27.5 days of productive time per employee per year due to health-related absenteeism and presenteeism. Presenteeism, according to the Harvard Business Review, is when employees show up to work but are not functioning at their optimal levels. Presenteeism is insidious, because unlike absenteeism, it is difficult to detect and even harder to track. Nonetheless, research suggests that it may cost companies up to 10 times more than absenteeism. Wellness programs may be the answer. Research from the Health Enhancement Research Organization (HERO), Brigham Young University, and the Center for Health Research at Healthways suggests that employees who eat healthily and exercise regularly have a 27 percent lower absentee rate and 11 percent higher rate of job productivity than their obese colleagues. Although companies can’t force employees to maintain healthier lifestyles, they can make it much easier for them to do so. Offering discounts at health clubs and creating pre-, post-, and mid-work exercise groups are great ways to encourage physical activity. And providing healthy food options and detailed nutritional information helps employees make good eating choices. That’s why USConnect’s The Right Choice…For a Healthier You™ program gives employees the information and options they need to make good nutritional decisions. 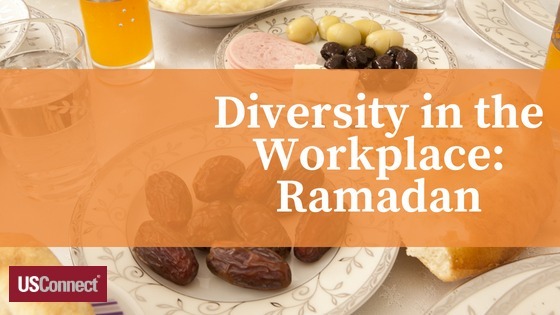 Employee productivity comes down to the choices of each employee, but armed with the right research and some great food choices, HR departments can improve productivity across the board. Modern materials recycling—converting paper, metal, and plastics into reusable materials—got its start in the 1970s, along with the rise of modern environmentalism. 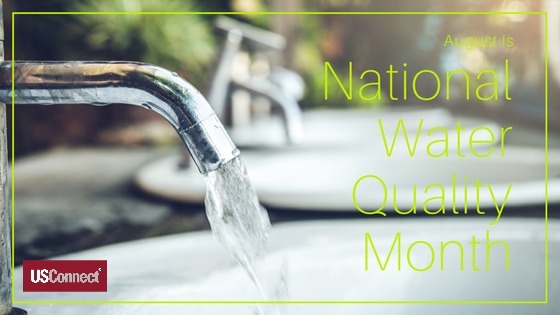 The first Earth Day was celebrated in 1970, and in 1976, Massachusetts received a grant from the Environmental Protection Agency (EPA) to pilot a curbside collection program for mixed materials collection. By 1992, there were 5,404 curbside recycling programs, and by 2017, these programs—most of which offer single-stream recycling—are nearly ubiquitous in municipal areas. The aim of recycling programs has always been to recycle more: to divert more waste from landfills. To that end, recycling companies have focused on making it easier to recycle common materials. The accessibility of recycling receptacles makes it just as easy to recycle materials as it is to throw them in a regular trash can (one that sends waste to a landfill rather than a recycling center). Now, the act of recycling paper, metal, and plastic has become a habit for many people. The EPA recommends that everyone “Reduce, Reuse, and Recycle.” These three commandments are ordered hierarchically; you should first reduce the amount of resources you use—then reuse whatever you can. When all else fails, recycle what you can. Recycling is certainly an important component of being environmentally responsible. However, recycling should not be an end in itself; it should be seen as a means to the end of reusing materials. Running recycling programs is expensive; for-profit materials management companies make their profit by selling the feedstocks—recycled materials—that result from the recycling process. But the economics of recycling are changing dramatically, especially in the area of plastics. Plastics make up a larger percentage of the waste stream than ever, due to technological advances in the manufacturing process. However, many of these new plastics, especially flexible plastic films and pouches, are not recyclable. They contaminate the waste stream and make it more expensive for materials processors to create high-quality feedstocks. At the same time, global financial trends, like lower oil prices and a slower Chinese economy, are reducing demand for plastic feedstocks. This is creating an economic “perfect storm,” in which recycling companies are having trouble staying in the black. 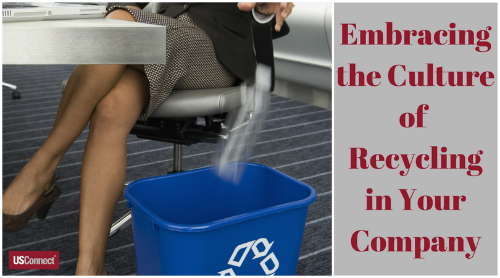 How can your office recycling program help? Make sure employees understand what is recyclable and what isn’t, especially when it comes to lightweight plastics and films. Provide recycling receptacles with signs showing best practices. Consider adding a composting program if possible. And remember, Reduce, Reuse, and Recycle! When you bite into your sandwich at lunch today, ask yourself: “How far did this food have to travel to get to my desk?” With today’s global logistics, the answer could be more complex than you might think, with some types of food being transported thousands of miles before they are eaten. And consumers—especially millennials—are increasingly concerned with the sustainability of the food they eat. Up to 50% of harvest is wasted between farm and fork—the moment we actually consume food. Transport-related emissions account for about 15% of overall greenhouse gas emissions. And 60% of those emissions are coming from road transport. Logistics costs affect small farmers disproportionally (up to 23% of their total costs). It provides a comprehensive and well-recognized system for tracking, documenting, and sharing information about fuel use and freight emissions across supply chains. 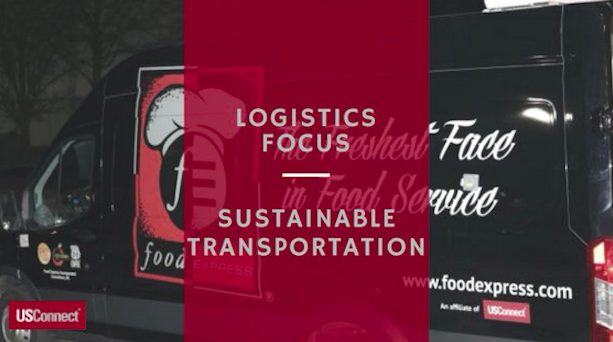 It helps companies identify and select more efficient freight carriers, transport modes, equipment, and operational strategies to improve supply chain sustainability and lower costs from goods movement. It supports global energy security and offsets environmental risk for companies and countries. It reduces freight transportation-related climate change and air pollutant emissions by accelerating the use of advanced fuel-saving technologies. Look for the SmartWay logo to know that your food is being transported according to the best available efficiency technology and carbon data.